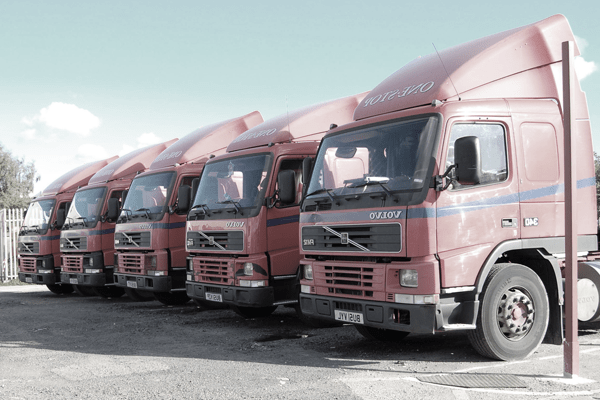 Fleets today are constantly under pressure to be as efficient as possible when they are delivering services or products to the customer. While this can be difficult, there are many new technological options that can be used to keep a fleet productive and efficient. Fleet managers can monitor where the vehicle is driven and how it is being driven using web-based analytics. The data derived from the web-based analytics can be used to monitor safety as well as efficiency. Fleet managers can provide feedback to the driver using customized reports or automatic alerts to monitor the drivers’ behaviors such as speeding, excessive idling, deviating from the authorized route, aggressive driving, and long stops. Additionally, a beeping alert can be set up in the vehicle to warn the driver that they are driving unsafely or inefficiently. This helps identify at-risk behavior and helps to coach the drivers. Fleet managers get instant insight on how drivers are behaving when they are on the road. Each driver can be scored so the managers will know immediately which drivers performing well and which drivers need more training. When you have a large fleet of vehicles, it can be complex and difficult to perform the proper preventive maintenance on each vehicle. With preventive maintenance monitoring, fleet managers can set up reminders for each vehicle for all maintenance activities based on engine hours, time and mileage. The maintenance activities can be customized based on the companies individual needs for their vehicles. One of the most recent innovations is a vehicle diagnostic tool. The goal for this tool is to predict engine failure or major maintenance before it occurs. This way the vehicle can be serviced before the vehicle is down for an extended period of time. This not only can save time and money, it can improve the safety of the vehicle because the maintenance issue will not occur when your driver is behind the wheel.